Great discoveries rest alongside thoughts on moon-people in this free Royal Society archive of almost 350 years of scientific advancement. 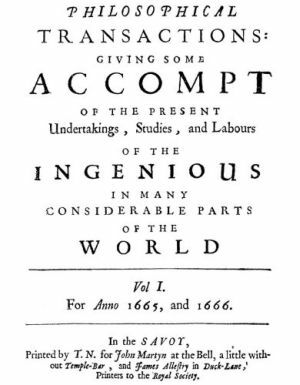 First published in 1665, Philosophical Transactions of the Royal Society holds within its archives many of the greatest scientific discoveries made in the last few centuries. Now, thanks to a digital publishing initiative at the Royal Society (the world's oldest scientific academy), we can all access that massive archive - for free. Available here, this huge, fully-searchable database contains over 60,000 scholarly articles dating from 1665 to the present day. You can read Newton's initial work on the spectrum of light, for instance, or read some of Charles Darwin's early work in geology. Benjamin Franklin's notes on not being electrified while flying a kite in a thunderstorm are there too. Of course, the archive isn't just about the more famous discoveries. Hiding in each issue, especially the earlier ones, are some delightfully esoteric papers. In 1665, for instance, the journal published French astronomer Adrien Auzout's thoughts on moon-people. "Methinks, that the Earth would to the people of the Moon appear to have a different face in the several seasons of the year," he wrote. It's strange to think of what the world would look like today without many of the discoveries detailed in the archive. I could waste time here talking about how great this news is for the free spread of knowledge, but it really doesn't need said; this thing is a primary source goldmine that doesn't discriminate.